The new shop at 8510 Longpoint Road announced on Instagram that it will open its doors on — of course — April 20, also known as “international weed day.” Owner and native Houstonian Erick Resendez tells Eater that the shop will serve drinks and breakfast pastries, many of which will be infused with cannabidiol, or CBD oil. The shop occupies a pretty small little space at the address, and signage painted by the artist behind Houston’s famous “Be Someone” mural announces its arrival, complete with cannabis leaves and coffee beans to drive home the shop’s weed-and-caffeine theme. The Smoking Pot is the first CBD-focused coffee shop to open its doors in Houston, but it won’t be the last. As Eater reported earlier this year, Amsterdam Co. Coffeebar is currently planning to open its doors in EaDo sometime this summer. 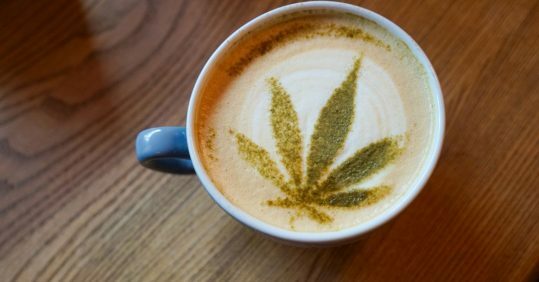 Houston is a little bit late to the CBD-infused beverage trend — over the past year or so, shops slinging caffeinated beverages infused with CBD, which proponents claim can treat everything from anxiety to cancer, have popped up across the country. When it debuts on April 20, The Smoking Pot will be open daily from 8 a.m. to 8 p.m.